Balletboyz attack this performance with strong contemporary style. The show is a triumph juxtaposing hyper-masculine physicality with graceful play through abstract storytelling. These young male dancers show awesome athletic skill, strength, control and grace. 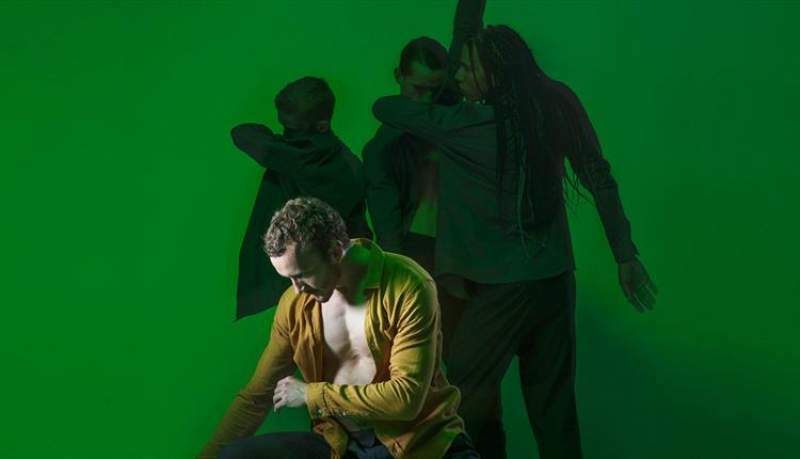 With a minimal neo-classical soundtrack and a stage barren of set or props, the audience regard these ballet boys with intense uninterrupted focus. Fresh choreography is displayed through witty duets, complex soliloquies, effortless lifts and synchronised group work. Gorgeously dynamic, their delivery evolves from glitchy mechanical through wildly animal and back again. The first piece is set around 10-foot-tall steel structure which they navigate nimbly. They move and manipulate the sculpture to become a colossal mobile acrobatic apparatus, picking up speed in time with the music. Like an optical illusion they soar, balance and writhe through its rolling industrial bars. Undoubtedly unique in style and content, the Balletboyz’ innovative creations are instantly recognisable. The second piece warps and wanes time, with intense and atmospheric scenes moving the whole cast in canon. Tortured solos are intimate and deeply emotional without being contrived. This exhilarating art can be readily consumed by dance aficionados and laymen (like myself) with ease. Annihilating ballet stereotypes, these tracksuit clad artists bring us a masterpiece that inspires and educates. Dance fans, add them to your bucket list. They’re a must-see for any boy who dreams of dancing.